Tanagers are in the family Thraupida, and all North American Tanagers belong to the genus Piranga.There is some debate, I believe, as to whether some of these species truly belong in Piranga. 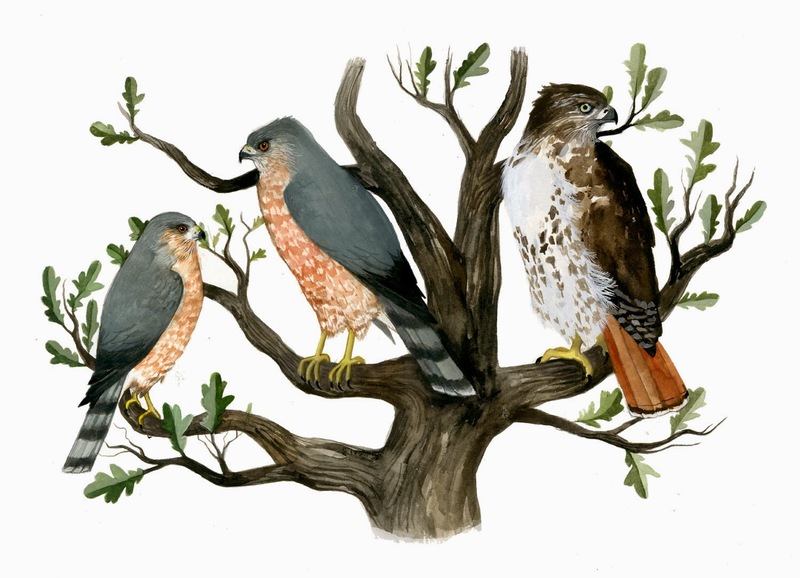 There is recent genetic evidence that supports that three within Piranga, actually belong in the cardinal family. Mmm, anyway, tanagers are forest dwelling, dramatically sexually dimorphic birds; the male Scarlet, as shown above, is an intense (almost neon) red during the breeding season and the females are sort of a drab, olive yellow. Male contour feathers during the non-breeding months (Aug -Mar) lose the red and resemble the color of the females. 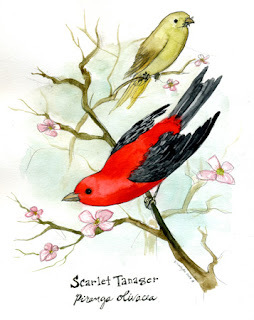 The Scarlet Tanager specimen I prepared was a breeding male and was spectacular. Unfortunately, my skin didn't turn out so well. The skin was incredibly delicate, which is a bad combination with inexperienced hands such as mine.